Locked-in syndrome, where a person with a fully functioning brain is trapped in a completely paralyzed body, is one of neurology's most vexing (and terrifying) problems. Physicians and researchers have struggled for years to establish an objective way to determine level of consciousness that doesn't require patients to express themselves through some form of muscle movement. New research could hold the solution, with a technique that directly quantifies brain activity by measuring its response to a magnetic coil. 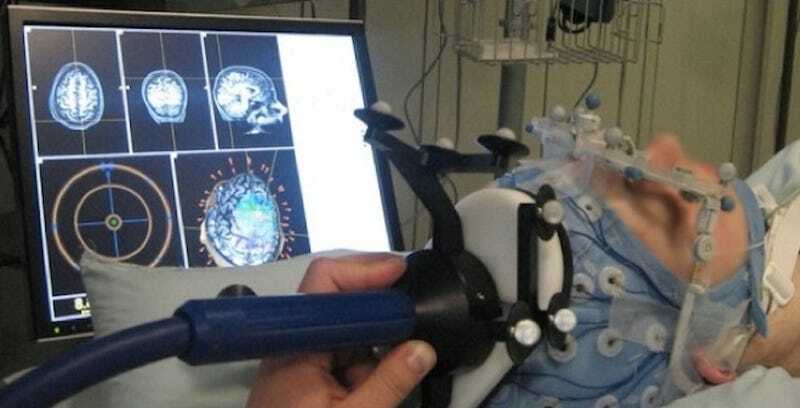 Researchers discovered that active neural pathways in the brain can be stimulated by holding a magnetic coil up to a patient's skull. By measuring how much of the brain responded to this electrical impulse in conscious, unconscious and locked-in patients, they were able to establish a zero-to-one scale. A score higher than 0.44 indicates consciousness, while readings below 0.31 indicates an unconscious brain.